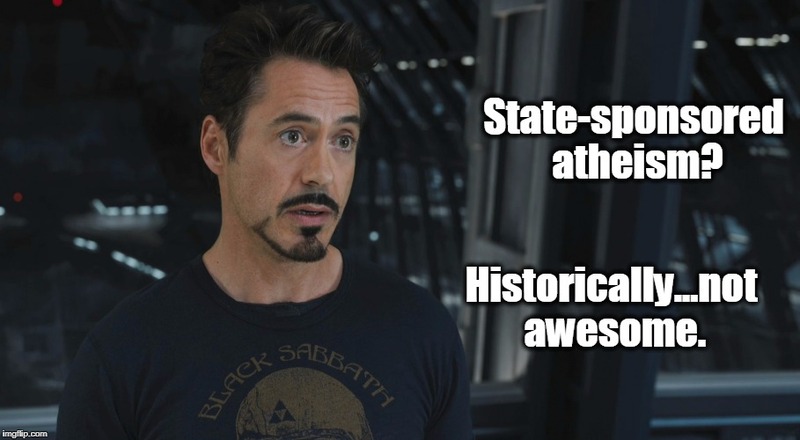 You must have state atheism and communism mixed up. You don't think that communism and atheism aren't interrelated? What are today's secular liberals calling for? Socialism, a gateway economy to communism. State-sponsored atheism means revoking the philosophy that human are created with inalienable rights. Now their rights simply come from the state's generosity, and therefore can easily be taken away. You're getting alot of things mixed up.